How darling is this??? And a lollipop holder - what a cute idea! This is so cute. I really love how you used the Twine. This is the cutest spider I've ever seen. Very creative with the twine, too. Such an adorable spider! I love this die and need to pull it out for some Halloween treats, thanks for the inspiration! This is so cute!! A few of you are making me want to buy a bunch of dies from Emma--LOL! Love this, even though spiders are my least favorite thing I want this one! 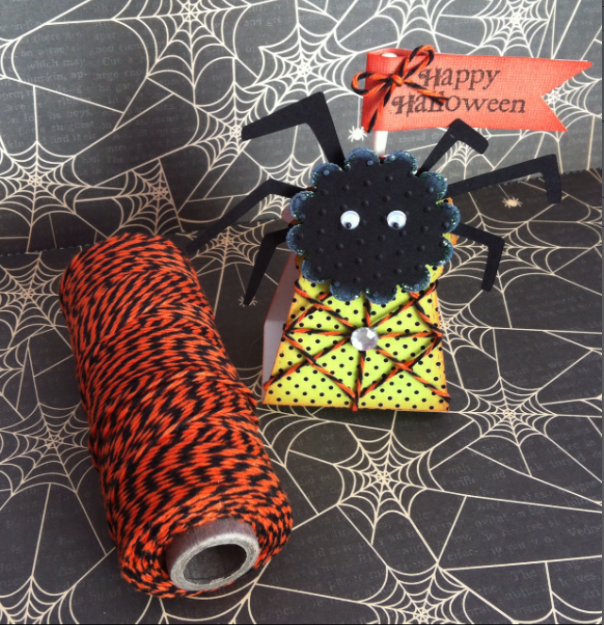 A spider and web are perfect for this challenge. Spooky but cute for sure!! Adorable! Love the twine web!